This verse discusses the subject of sin, and tells all Christians that confession is an activity that pleases God. Those who lead a Christian life know that profession of faith is not enough–they also know that they need to repent their sins with some regularity. In fact, person can’t say that he or she is a true Christian unless they admit to their sinful nature. The idea of confession is to perceive sin as God perceives it–which is that it is a destructive force in a Christian’s life. Thus, when one confesses his or her sins, one should not simply enumerate the various sins committed, but must feel a genuine sorrow for committing them. 1 John 1:9-10 gives Christians the assurance that those who are faithful in confessing their sins have God’s forgiveness. Likewise, those who do not confess their sins are walking in darkness. When a Christian fails to confess his or her sins, he or she disrupts his or her fellowship with God. in addition, refusing to confess is a symptom of self-deception. After all, if one cannot be honest with himself or herself about sin they can’t be honest with God in confessing it. Honesty is a key ingredient in any relationship, and one’s relationship with God is no different. On your next visit to your church in Detroit, make it a point to confess. If you haven’t confessed in a long time, here are tips for you to prepare for your reconciliation with God. Talk about sin, not guilt. Acknowledge that sin is preventing your growth as a Christian. Do more than just confess. Do your best to avoid committing the sin again. If you feel hesitant about confessing, just talk to the priest. They’ll be more than happy to help you overcome your hesitation and make you feel more at ease with confession. Sin must be overcome–this is an idea that all Christians abide by. The proper way of overcoming sin is not to deny it, but to acknowledge its presence in your life and let God cleanse it. God is the only one who can forgive your sins and cleanse you from all unrighteousness. 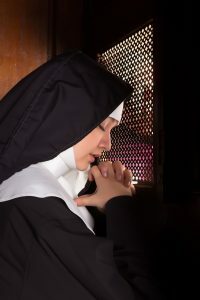 If you want to learn more about the sacrament of confession, churches in Detroit, such as Old St. Mary, are your best resources on the matter.